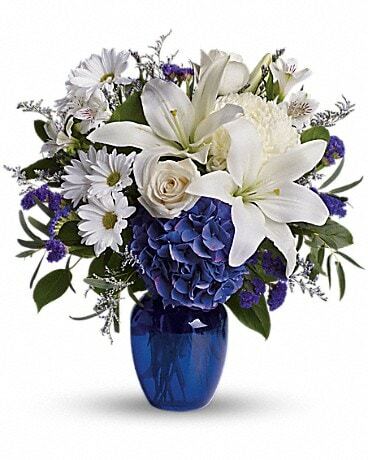 The serenity of the color blue together with the purity of white in this arrangement symbolizes calm strength. 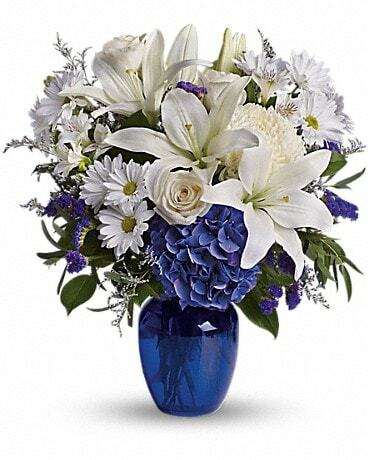 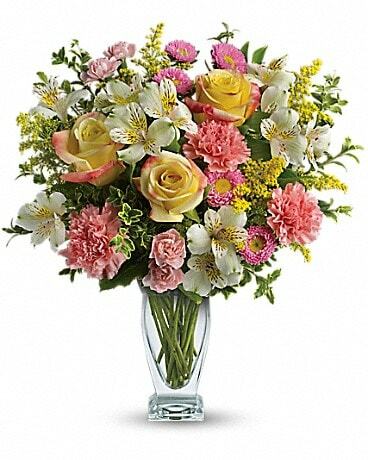 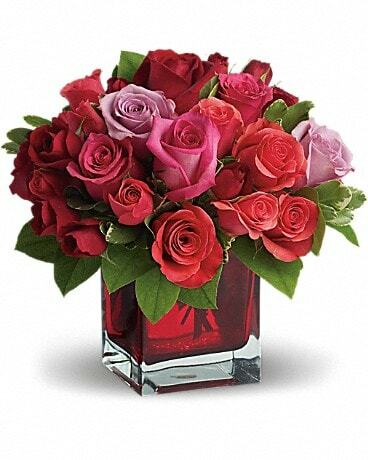 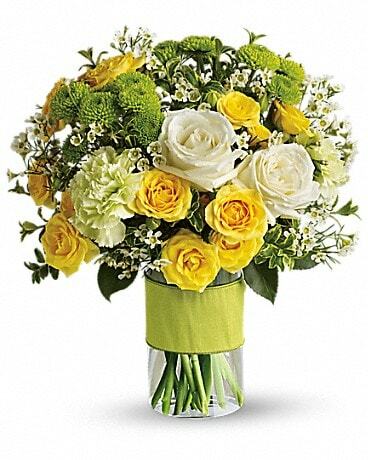 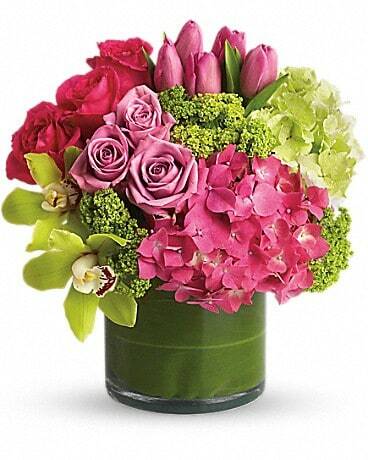 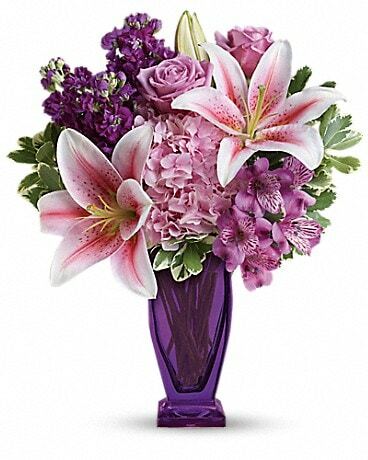 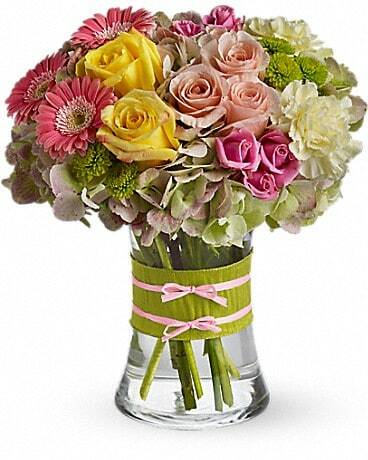 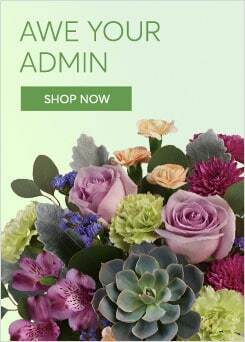 A beautiful floral arrangement to express your caring thoughts to anyone during difficult times. 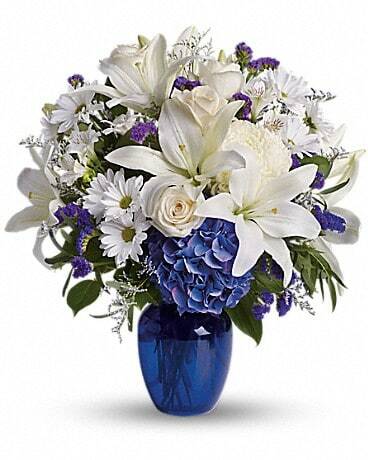 Designed with flowers such as creme/white roses, white lilies, alstroemeria, blue hydrangea, white chrysanthemums, and more are beautifully arranged in a glass vase.